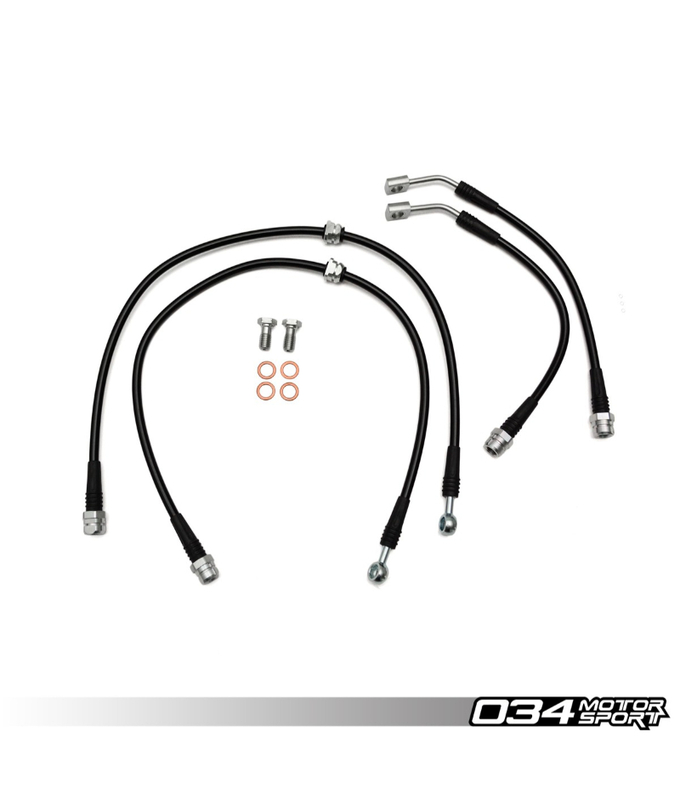 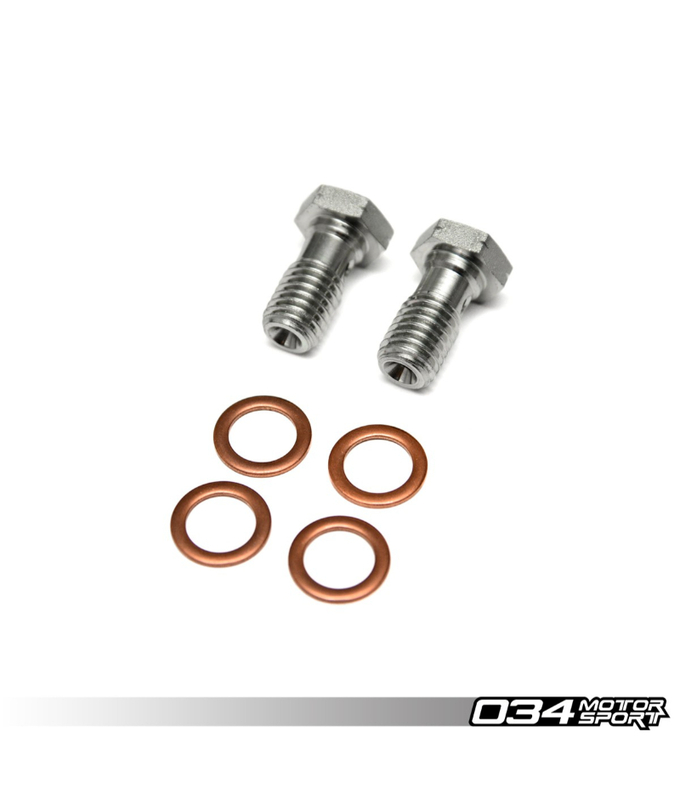 Replace the stock rubber brake hoses on your 8V Audi A3/S3 & MkVII Volkswagen Golf R with these performance-minded stainless steel braided lines from 034Motorsport! 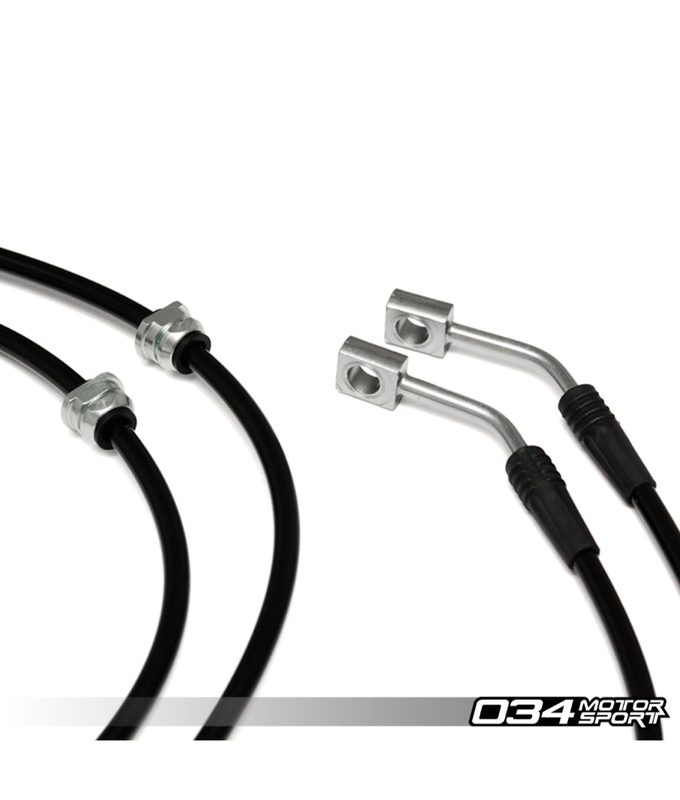 Replace the stock rubber brake hoses on your 8V Audi A3/S3 & MkVII Volkswagen Golf R with these performance-minded stainless steel braided lines from 034Motorsport! Unlike the stock rubber hose, this stainless steel braided hose will not bulge or expand, resulting in improved pedal feel, and more consistent braking pressure.